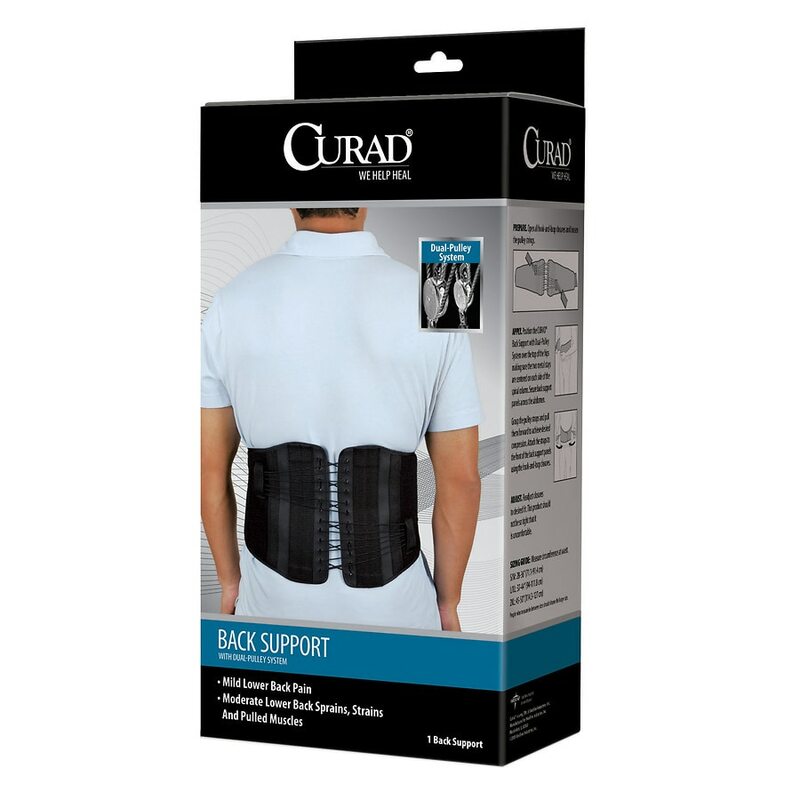 Back Support with Dual-Pulley System has a low profile design that allows it to comfortably fit under clothing. Dual-Pulley System allows for tailored compression. This support is ideal for weak muscles and lower back pain and features non-removable, metal stays that provide added support. Black with hook and loop closure.